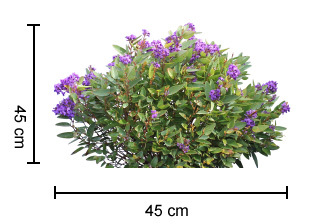 Description: The Mini Meema™ plant is the most compact form of Hardenbergia available. Its natural compact ball shape makes it perfect for small gardens. 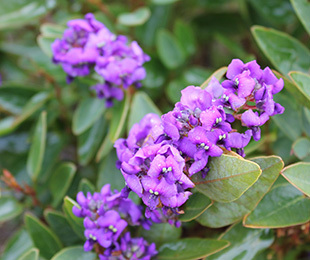 It showcases masses of purple flowers in early spring. 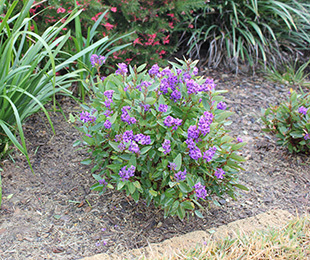 Mini Meema™ Hardenbergia keeps crisp, clean foliage through very cold winters and hot dry periods of northerly winds with less blemishes. Uses: For small gardens, mass planting, borders and as a ground cover. Position: Full sun to part shade. Works in most soil types. Tolerates cold and drought. Care: Water as required for 8-13 weeks until established. Plant in a well mulched garden (chunky mulch is recommended). If required use slow release fertiliser in spring. For a manicured tidy look, prune each spring after flowering. Where it works: QLD, NSW, VIC, TAS, SA & WA.